The ramblings of a chicken obsessed mother who dreams of living in Africa. The other day, as I pretended to tidy the house whilst actually waiting for a break in the rain in order to go and clean the chicken coops I found myself wishing I was somewhere, anywhere in fact with a warmer climate. Where would I go if I could just step on a plane without thinking about the horror that is packing to go away? I have a very relaxed attitude to packing, I hate it with such a passion that I avoid it until the very, last possible moment. There was the time many years ago when myself and The Not-Yet-Husband were traveling out to spend Easter at my soon to be parents-in-law in Cape Town. I rose early on the morning of the flight and began to pack a few books, makeup and some clothes. I threw in some shoes, a few more pairs of linen trousers and closed the case. I then set about packing for The Not-Yet-Husband, we had only been living together for a few months and so were still in that giddy everything you do is so sweet, funny or thoughtful stage. A stage which has long since passed I can assure you. So I packed for him in about 10 minutes and kept ignoring all the pacing he was doing and all the irritating questions he insisted on asking. We grabbed our passports, tickets and luggage and drove to the airport. After a long but very pleasant flight down to Cape Town, remember this was pre-children so the flight was actually enjoyable in that I read a book, watched a film, ate passable food at normal speed and slept when I felt the need. We arrived to a lovely warm summers day and were welcomed by the in-laws for a few hours before they flew off to Namibia and The Skeleton Coast. All was well until the now Husband went to shave, shower and generally freshen up. ” Which wash bag do you mean? ” was my sleepy response. ” I only have one ” he replied slightly edgily. ” Bugger ” I whispered, having only a hazy recollection of said wash bag and I could imagine it quite clearly in our bathroom at home. ” Er, yes that’s the one ” came the reply. Thankfully we had two other couples who are friends of ours flying out the following day to join us and so they were able to do an emergency dash to collect the medication from our house on their way to the airport. Unsurprisingly I have not be asked to do the packing for The Husband since. So, if I could just go anywhere, with a bag packed by someone other than myself where would I go? Look below, it’s just about perfect in my opinion. Now I just need to sell all my worldly possessions, uproot The Gaggle from school, work out how to transport twenty-two chickens and two dogs across two continents, conquer my fear of massive spiders, work out how many Tanzanian Shillings there are to the UK Pound, sell a house oh and break the news to The Husband that he is moving. I think he will take the news surprisingly well…..
Oh how I wish this was our back garden…….obviously with some chickens then it would be perfect. 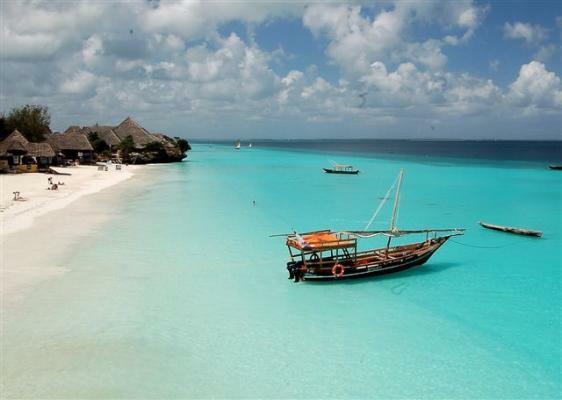 This is a beach on Zanzibar which unfortunately is approximately 4694 miles from where we live and significantly warmer. I was last there over ten years ago and I <<stamps feet>> want to go back. Or maybe KwaZula-Natal or Mozambique although my Portuguese is non-existent and my Swahili very basic, but I could learn……..